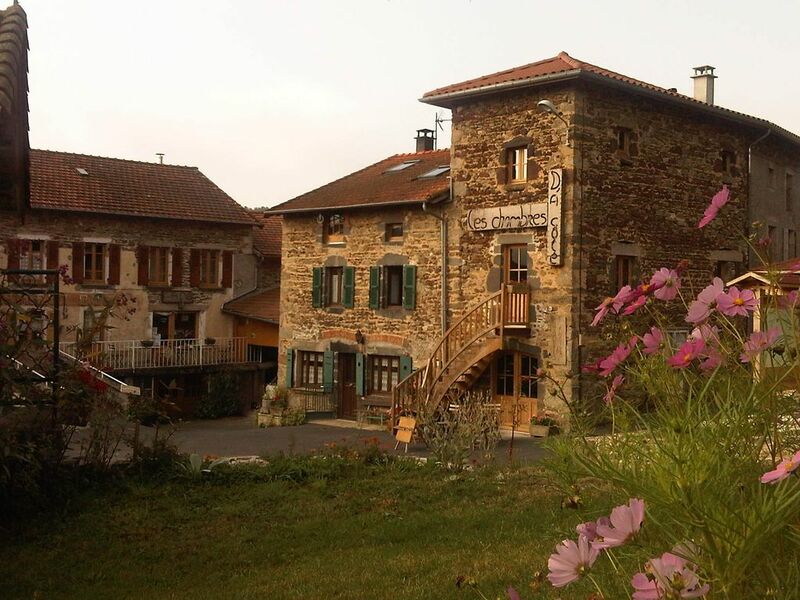 In Auvergne, in the pretty village of Berbezit, located close to La Chaise Dieu in the Haute-Loire, we suggest renting a cottage with all the comfort, which has just been renovated. It is located in an old house which already has three guest rooms. The stones and wood of the country are the basis of this full restoration of charm. - A bathroom with shower, toilet equipped with a heated towel rail. A small area with garden furniture and barbecue will allow you to take meals outside if you wish, and a garden with sun loungers is available if you want to relax while admiring the forest fir. Throughout the summer, are also held numerous events of all kinds in the surrounding villages. In the fall, the fair mushroom in La Chaise Dieu is an unmissable event for lovers. You can also, if you are attracted to water games go swimming at the map of La Chaise Dieu, a theme park located 20 minutes, or in the gorges of the Allier a little further. For those seeking more simply, peace and quiet, you will find, peace of this unspoilt and very kind. -The Village café we also run, where you can enjoy a breakfast with local produce and vegetable garden according to the season, if you like. grocers Monday and Wednesday, Friday or Wednesday butcher, baker on Thursday, but bread coffee on Tuesday and Saturday.